I am becoming friends with a pediatrician mom - her twin daughters and mine are in the same class. I have learned a lot about her family through Cecelia, and have chatted with her at school events and after sleepovers. She is pretty amazing. I love to hear stories about being a pediatrician. What a hard road (like we all have). She recently discussed frustration over a 10 minute well child visit that turned out to be small kids who have never seen a doctor and had recently been rescued from a bad home life. Never been vaccinated. "How on Earth am I supposed to tackle that in a well child visit?!!?" And do all your charting on EMR, I thought. And realize your time will be bundled in payment. And how do you pay for the sleepless nights you end up with trying not to worry about those kids, when you don't even have enough time with your own children? But we don't just talk about work, we love to share stories about the kids. I bumped into her in front of the Dr.'s lounge recently. She recounted a weekend tale; she also has a six year old in addition to the twelve year old twins. "The kids were running around downstairs shooting rubber bands at each other. (Her husband, also a peds doc) was on call. I was wracked with anxiety about the danger of the situation but so excited they weren't buried in their ipads that I let it go on way too long. Sure enough, one of them came crying to me with a superficial eye injury. I debated - Stop this? No. How can I continue? I pulled the swim goggles out of the closet and made them all wear them. The fun went on while I worked upstairs. It was one of those magical mornings, ones spun out of nothing, to remember forever." I laughed so hard I almost spilled my coffee. I love rare magical mornings. Her story reminded me of that old adage, "Put on your oxygen mask first." We try to do this, as mothers and doctors, but we forget. Through sharing we are constantly reminded of how important that is for us and our families. Play is just as, if not more so, valuable to our lives as work. And what we do for our patients within the system is enough. It's ok to constantly strive for more despite the constraints. That's what makes us what we all intended to be when we started this journey. Healers full of hope. It’s a cliché, and I hate clichés. But it’s also a truth. And it beats me over the head on a daily basis. I never wanted to be the type of person who thinks, let alone says or writes, that there are things that people without children just don’t understand. And I won’t pretend to know what anyone else feels or understands. But I can say with absolute certainty that my own understanding and experience of life has changed immeasurably since I became a mom. And I’m still trying to learn to navigate not just the logistics of life with a baby, but a very new emotional terrain. My son was born in February after a healthy, uneventful pregnancy. At three months old, he is thriving – sleeping well, eating heartily, and smiling and cooing in ways that melt my heart anew every day. My husband and I try not to make assumptions about the future, but like all parents, we have high hopes for him. And we look forward to every day that we will spend together as a family, watching him grow and learn and discover the world. Yet today I am sitting on the living room couch sobbing while my baby naps peacefully in the other room. Why? I am no longer painfully sleep-deprived, no longer terrified that he and I will never master the art of breastfeeding and that he will not gain weight and grow. My hormones seem to be back in check and I have largely adjusted to being back at work and away from him, although it is still hard to leave each morning. I am sitting here in tears because I just read a blog post written by someone I don’t know, someone whose story I came across when it was shared by one of my friends on Facebook. It was about a woman who just lost her little boy to cancer. And I am feeling another mother’s pain. I can’t imagine what it feels like to lose a child. I couldn’t before I had my own baby, but now whenever I encounter such losses, all I can think about is how, once upon a time, that child’s mother had high hopes for her baby, had her heart melted by each smile and coo. Which is not to say that I would not have cried at the same story before I had my son, or that people without children would not shed tears over it. But the feelings behind my tears – the fiery, gut-tearing pain that churns within me when my mind even dances near the edges of the real question that arises with every story of loss: What if it were my baby being taken from me? – are awful and new. I did not have children at the time, and although wondered how I might be affected once I started a family, I thought that perhaps I would gain some degree of immunity by entering the field before my own children arrived. When I began my pediatrics residency, I certainly felt sad when children were sick, and extremely sad when they died. But I was able to let go of that sadness and move on. Then, during my second year of training, my own baby arrived. And after my brief maternity leave, I returned to work on the pediatric oncology ward, a place that had always gripped and excited me. And suddenly everything changed. I still loved the strictly medical side of things: working up a new diagnosis, puzzling over the best ways to manage the side effects of chemotherapy. But the family meeting to discuss a little boy’s grim prognosis nearly sent me into a fit of sobs. I had to look away and sing songs in my head just to get through it. All I wanted to do was to cry with this mother. For this mother. Which leaves me in a confusing state. Everything that I have always felt about caring for children, I feel much more strongly now. The uplifting and the soul-crushing both resonate in ways I could never have anticipated. Will this effect wane with time, or intensify? Will it render me better able to care for my patients and their families, or become a barrier to pursuing and surviving the emotions of this career about which I once felt so sure? It’s hard to know anything for certain, other than, finally, what it feels like to be a mom. Becky MacDonell-Yilmaz is a second-year pediatrics resident at Hasbro Children's Hospital/Brown University and mom to a three-month-old son. She blogs at The Growth Curve . I'm not going to get into specifics, but there's been an issue that my mother and I have been arguing about for the last five years. Basically, I gave her a piece of advice and she's been telling me for five years that I've been wrong. Then yesterday, she took my advice. And after five years of arguing, she admitted, "You were absolutely right." Later that day, I made an offhand comment about how I was wrong about something. My older daughter quickly said, in all seriousness, "But you're never wrong, mama." This day will live in infamy as the day I actually got respected in my house. MiM Mail: Is part-time possible? First of all, thank you for publishing this blog! Reading your posts has helped me to feel less alone in the crazy world of being a mother in medicine. I am a third year medical student with a 3.5 month old daughter. I've been back at my clerkships since she was 8 weeks old and have found myself pretty miserable. I hate being away from her while I am working, and I hate that when I come home I am often too tired to do much more than nurse her and hand her back to my husband. Our hope has been that after residency I will be able to work part-time, but recently I've been wondering if that will be possible. I'm interested in pediatrics/psychiatry/child psychiatry, which I know are considered to be more "family friendly" fields. But I'm starting to despair that even in one of those specialties I will not be able to find a job that will allow me to spend significant amounts of time with my family, especially while my daughter (and hopefully her future siblings) are young. I'm wondering what your experiences are with trying to work part-time in medicine. Is this dream possible? How significantly might it limit potential for career growth? I'd also be interested to hear from those who have chosen paths other than clinical work (research, administration, education, etc). Are these areas more flexible? MiM Mail: Dr. and/or Mrs? 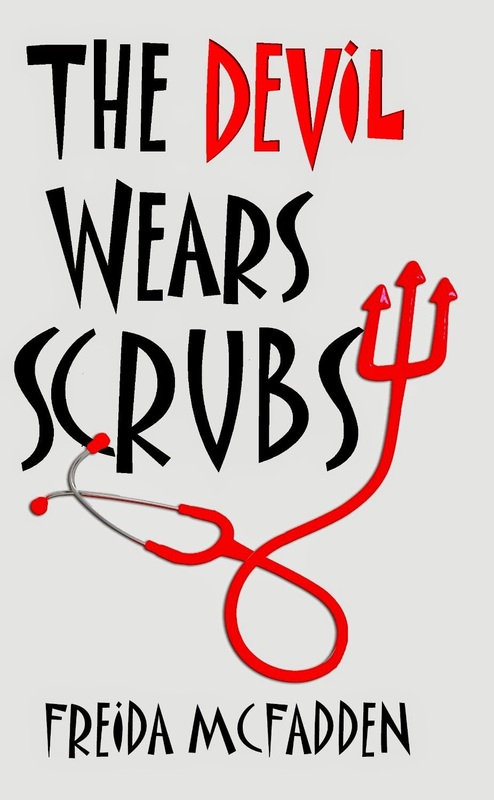 I am a newly crowned fourth year medical student who will be applying for residency this upcoming match cycle. In addition to that, I will finally be marrying my college sweetheart this upcoming spring. While I can't wait to be a Mrs. I'm struggling with what to do with my name. Since I've been a little girl I've always dreamt of being Dr. MyName. Not only will I be the first doctor in my family, I am the first to even graduate college! Becoming Dr. MyName is a great source of pride for me. That being said, I have every desire to be Mrs. HisName everywhere outside of the hospital. While he would prefer I take his name, my fiance is supportive of whichever decision I make. All future children will have his last name regardless of what mine is. I don't know all the licensure regulations, but what options do I have to practice as Dr. MyName, but still be Mrs. HisName? How have you ladies gone about this decision? Went to the pediatrician with my daughter for routine primary care visit. I thought she (the pediatrician) did such a good job with my daughter in terms of the tenor and content of the discussion, the calm demeanor, the subtle but savvy questions, the listening, and the encouragement. Promoting wellness, self -esteem, and balance. 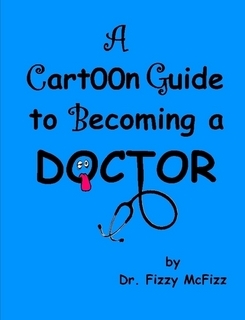 Do you learn about doctoring when, as a MiM, you go to the doctors? I have tried to over the years. And as a MiME (Mother in Medical Education), I teach some stuff too. Actually, we chose this pediatrician in part because she trained with us. More circularity. Nicely done! I am a 31-year old medical student just finishing my first year (M1). I'll be 32 this fall. I got married last summer before starting school, and while my husband and I considered having a baby during the pre-clinical years, we didn't want to try until we had gotten used to our new married life and were sure we had gotten into the swing of school. Earlier this year I thought that maybe 2nd year would be a good time to have a baby because although my school has an attendance policy, it would be easy enough to stream. But then I started to stress out about Step 1 and wasn't sure how a new baby would enable me to put in 12-14 hour studying days and so I have been stalling. At this point, timing seems pretty bad. I met with someone at school about best times and what I should know for planning, and they of course told me to do whatever I wanted, but that it was easier to take blocks of time off in 3rd and 4th year. So, right now we are thinking about trying starting later this year and having a baby sometime in 3rd year ideally, or 4th if it takes longer. We would like to have two, and I'm hoping that maybe we could have a second after intern year of residency (when I'd be 36 or 37). If it didn't happen, hopefully we'd at least have one, but I know we would both be a little disappointed. I feel like I'm running out of time and I don't know how to handle it. I know everyone says there is never a good time, but it seems like all the times are downright bad and every time an opportunity comes up I get cold feet. I've been honoring most of my classes and would like to at least leave the door open for matching in fourth year and hopefully eventually a career in academic medicine (probably not in a hugely competitive specialty - right now considering EM, neurology, family med or internal med). I am nervous that I won't be able to keep it all up with a baby, or that the feelings of guilt I already have towards my husband and dog will only get bigger as our family expands. I already hardly see my family or friends and spend most of my time at home holed up studying. 1) Anyone have experience with a first pregnancy/new baby in M3 year? Any advice on how to plan for it or handle it well? Pitfalls to avoid? 2) In my situation, is it better to just try and wait until M4 and then PGY2? My fear is that since pregnancy is unpredictable, I'd rather start early. 3) Does anyone have advice on managing competition in class? I feel like I am putting a lot of pressure on myself to succeed to the point where I actually make myself unhappy and burned out and I'm not even sure how much it matters much in the long run. Thanks for all you do. This is a great community and I am really glad to see the support. Happy Mother's Day to all the mommies! May you all have wonderful days filled with lots of sweet hugs and slobbery kisses! I am writing you to get some advice on toddler behavior. I am a 3rd year medical student, mom to an almost 3 year old little boy and currently pregnant with baby number 2. I have been struggling lately with my son's behavior. I used to have a sweet, smart and energetic little boy. Since he has been out of his crib and potty trained, my husband and I have had a tantrum monster on our hands. We have what we call a "spirited child," with a very strong personality and stubbornness beyond anything I have seen in other toddlers. We put him down to bed around 8pm every night after the usual bed time routine and he usually takes anywhere from 1 to 2 hours to actually fall asleep. It's a combination of "I want different pjs/I need more water/I want daddy/I want a new blanket/ I want the light to be blue/ It's not dark out yet/ I don't want to sleep / I need to pee" but the list is endless. My husband and I try to be firm, we have tried to let him cry it out but he cries even louder so we inevitably comply with his requests so he can sleep. Even worse, he wakes up 2-4 times per night with similar complaints, throws tantrums where he arches his back, cries hysterically but won't tell us what is wrong. As a result I am getting increasingly frustrated and exhausted. Today must have been the worst of all days yet when after 4 overnight wake ups and very little sleep overall, my son woke up at 5:30 whining, rubbing his eyes, yawing and saying that he does not want to sleep anymore. I found myself yelling and screaming, which is unusual for me and ended up breaking down in tears since I had only gotten about 5 hours of sleep myself. Being very pregnant at this point, I am anticipating some sleep deprivation once our new baby arrives but I feel like I cannot deal with my son anymore. I cannot imagine how this situation is going to work out when I have two kids in the house who wake up multiple times per night. Worst of all, I feel like I am failing as a mother. I am having a hard time enjoying time with my son during the day when nights are so painful and feel guilty about it. I can deal with daytime tantrums but the nights are draining my energy. Do other moms or pediatricians have experienced similar situations and have tips on how to deal with toddlers? Your help would be greatly appreciated. Thank you. After my six-week maternity leave was over, I showed up to work after having been up all night because my Doll must have felt the change coming--she didn't sleep a wink! And I was up with her, trying to soothe her back to sleep. I was quite embittered (is that word?) that I was scheduled for a 24 hour overnight in-house call just 4 days later, as I thought there was an agreement that I would not be on call for at least a month after returning. That night on call was a particularly slow night, and I was called by the nurses only about twice. One of the calls required me to handle a situation on the floors, and as I was writing my evaluation note, one of the nurses said to me, "it's nice to get some sleep while you're here, huh?" No, it's not. I would have rather been up every night all night with my Doll than sleep all at work. That's how I felt then, and that's how I feel now, 9 months later. It is finally May. I see the light at the end of this very long tunnel! Two more months until what seems now to be the golden year of residency. Twenty pounds into my pregnancy with no end in sight, I began to dread stepping onto the scale at my Ob/Gyn appointments. Even more, I began to dread that moment in the exam room when my doctor would review my numbers for that day. My blood pressure was invariably okay and my urine dip was normal, but my weight continued to bound upwards in increments larger than what was apparently advisable. I would nod with shared concern as she read out the new tally – seven pounds since my last visit? Oh, my – and with determination as she listed suggestions to watch what I ate and try to get some exercise. Even just take a walk a few times a week, she said. The implication being, how hard could it be? I would leave the office with new resolve to pack healthier snacks for work and to make time to go back to the gym, or at least to start taking the occasional evening stroll. The snack resolution I met with reasonable success, but the exercise portion proved difficult. Now in my second year of residency, I had stacked my schedule so as to complete my months on certain services – those with the greatest intensity and the longest hours – in the fall and winter prior to my delivery in exchange for a reasonable stretch of call-free maternity leave in the spring. As a result, I left the hospital each night in darkness, exhausted. I stopped even pretending that I might stop by the gym or venture out along the icy sidewalks near my home. Besides, I spent at least half of every shift on my feet, rounding on the wards or hurrying between emergencies. Surely all that activity must count for something. Hoping that my mediocre efforts had paid off to at least slow the accumulation of pounds, at the next visit I would slip off my heavy Dansko clogs, get back on the scale, and watch as the medical assistant slid the little weights ever further to the right in order to balance my growing mass. Then the entire scene would repeat. My new attitude was a mixture of It’s no use, I can’t, and Why bother. I was doing what I could, I reasoned, and if I gained some extra weight, so be it – I would work extra hard to lose it after the baby arrived. I continued to attend every check-up, only now when I nodded at the numbers, my concern was only mild and my determination feigned. I left the office feeling a combination of relief and resignation, already dreading my next appointment. And suddenly I was not so different from my own clinic patients and their families: from the children and teenagers whose growth curves make me cringe as they surge skyward, brazenly crossing percentile lines, and from the parents (often overweight themselves) who grimace when I show them this evidence of too much intake and too little output – it’s that simple, I explain. They nod earnestly as I outline a plan of attack: cut out soda and juice, add vegetables, find time for exercise. And they look abashed when they return months later to find the curve inching ever onward in the wrong direction. I’ve been lucky in terms of weight for most of my life. Sure, I’m a fairly typical female; I have certain body parts that I find too loose or jiggly or poorly shaped and I’ve spent too much time staring from different angles in the mirror, obsessing over these flaws. I have gained and shed pounds according to my level of stress and just how hard – probably at times too hard – I have worked to lose them. But I have never been truly overweight, never begun to dance with the complications of hypertension, diabetes, sleep apnea. Never before had a doctor grow concerned about the number on the scale. And because I had never been in their position, I had never understood how difficult it is to try to get out of it. My belief and the implication of my advice had always been: how hard could it be? Now I knew. The specifics of our challenges aren’t exactly the same –many of my patients can’t afford to join a gym whereas I pay for a membership and don’t go – but if neither if us is working out, what’s the difference? We’re both gaining too much weight too fast and have been unsuccessful at making the changes our doctors push for. And we’ve both felt bad about it. I didn’t suddenly develop a grasp of how to move past the roadblocks in my life or theirs. If anything, this new knowledge makes my job even more frustrating and my motivational interviewing less motivational; how can I enthusiastically pitch ideas that, given the backdrop they are set against, are so unlikely to work? What I did gain was new understanding and empathy. And while I don’t have any brilliant solutions to offer to busy, tired people with potentially limited resources who are struggling with the trials of diet and exercise for themselves or their children, I hope that I am better able to partner with them to search for solutions or simply provide support now that I have stood in their shoes . . . on the scale. 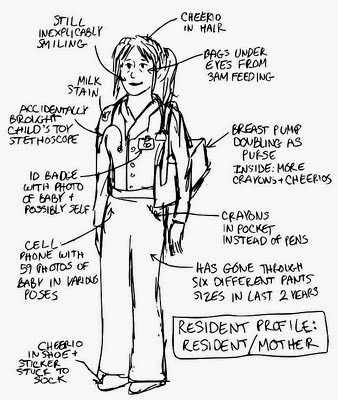 I am a second-year pediatrics resident and mom to a 2-month old boy. I blog about my experiences at The Growth Curve (www.thegrowthc.wordpress.com). I’ve heard that the rigors of medicine prepare women for the arrival of a newborn, and to a certain extent that is true, but there is definitely more to it than that. Our great work ethic, patience, and calmness in the midst of a storm do give us a great base. Also, we tend to “freak out” less over any minor baby medical issues. Despite those similarities, taking care of an infant is quite an unique experience. It’s been four months since the birth of my adorable baby girl (in my completely unbiased opinion), and I’ve stumbled upon some of my own truths that I felt like sharing. Preparing for childbirth and care takes you only so far, just like prepping for intern year cannot get you ready for the real time situations of the wards. I was exhausted both mentally and physically in ways I didn’t know I could be. I learned the hard way that keeping my goals simple was key. Feeding, consoling, bathing and carrying an infant is enough for the day. Squeeze in some personal hygiene and eating time and feel good about yourself. I recall at the end of my 12 hour day or night of work, my husband would ask how the it went, and in my head multiple thoughts would race, but it was too mentally taxing to convey everything to him, so I’d end up saying “ it was good…” This type of response is quite similar to my days during maternity leave. There was a mixture of highs and lows and in between. Capturing the entire experience in one sentence seemed unnatural. Though in our profession we are encouraged to ask for help every step of the way, what I’ve found more true with my few years post training, is that most of us strive to work out issues on our own. Asking for a consult every time a question pops up is not an enticing option unless absolutely necessary. Well when it comes to infant care, support and help are key. The truth is you need your “own time” off from your infant to maintain a healthy relationship. Sure there is satisfaction in bathing, feeding, and nurturing your child all by yourself at times, but not all the time! Take up your family and friends’ offers to help out. Learn to separate your attending/resident hat from your mother hat! Oh and single mothers, you completely deserve a lifelong standing ovation. As my baby has grown up over past month or so, I have found more free time during the day. At first I immediately thought (after catching up on sleep), that I should do some medicine related things, so my brain doesn’t decrepitate with time. So I filled the hours with intermittent medical reading and reviewing some stuff here and there. I even created my own blog regarding hospital medicine, but as time wore on during my maternity leave, I still found it hard to keep up with everything, and then the guilt trip started. So what I have concluded is to give up pseudo doctoring unless it truly invigorates me, like writing this article. Don’t worry, the skills will not disappear. I realized that after doing a few shifts here and there. You have the rest of your life to doctor away, no need to do fret over it now. # Embrace your free time, it’s okay to be domestic! If you’re blessed with more just six weeks off, you will find that your free time will actually increase (not dramatically but noticeably so). I found myself cleaning up the clutter in our apartment and going on an organizational binge. There were moments when I’d stop in the midst of my activities, and think “ oh god, what am I doing?? Did I study, train, work all those hours, and accrue all that debt to only be doing this right now…? “ And then, after bouncing these thoughts off my husband, I slowly snapped back to reality. And reality was pretty great if you are willing to accept it within the context. For once in my life, I was not working or studying. My hours were completely dedicated to my child and to myself/family. I’d never had this type of time before, except maybe the two months between medical school and residency, except now I was more settled in my life, and that was comforting. What did I use this time for? Well, to be honest, at first, I binged on TV. Then I started getting into social media especially all the medical related stuff. I’ve also been exploring my creative side again – doing DIY projects for décor, learning lullabies on my acoustic guitar to sing to my little girl, and learning to cook different dishes. It’s been quite refreshing. Overall, it really has been an internship of sorts, and this “learning how to be a parent” is going to continue for the rest of my life just like perfecting the art of medicine never stops. I do hope that my experience will make me a more caring physician when I jump back into the field. I have much to learn, and I’m looking forward to it. To all the other mothers in medicine, I applaud you. I’d love your advice and comments! @psanyaldey is a 34 year old internal medicine trained hospitalist. She is married and has a mini siberian husky along with her newborn girl.